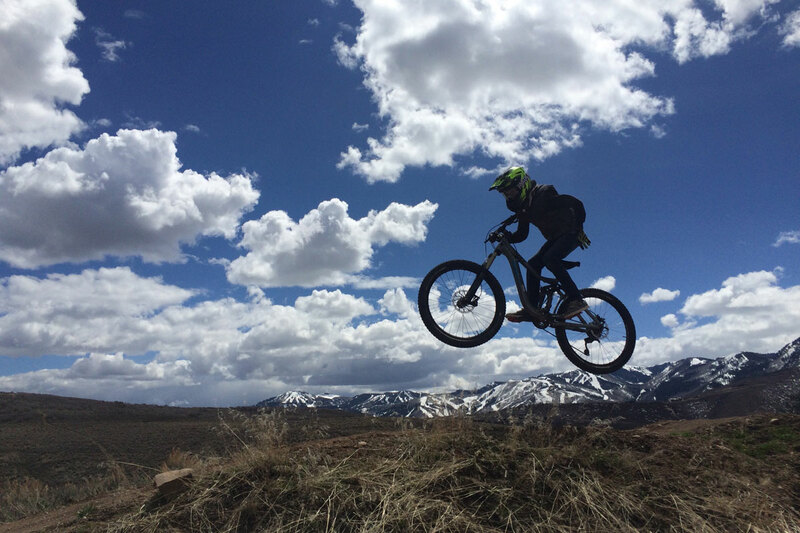 H 6725 L 6610 ELEV FT.
Trailside is a free mountain bike skills park with something for riders of all skill levels. 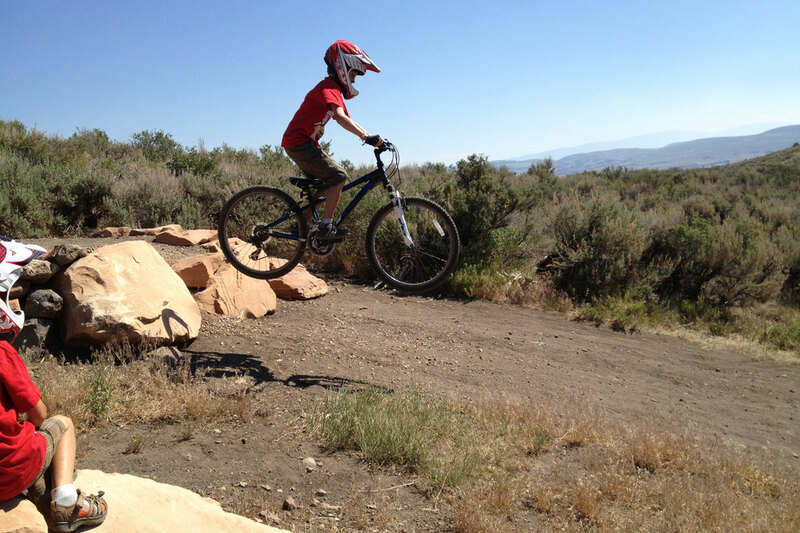 When trailside opened about five years ago, it was the first skills and bike park of its kind near Salt Lake City. 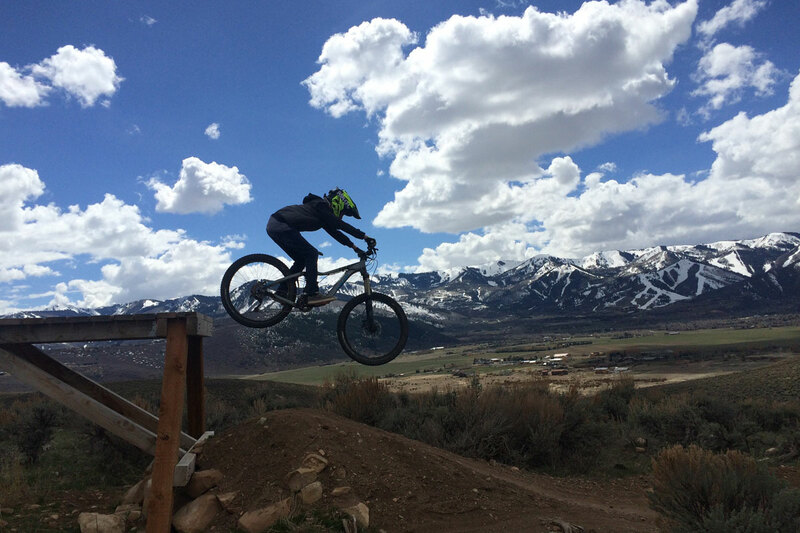 This bike park is open from late spring through mid-late autumn due to the elevation and snow. 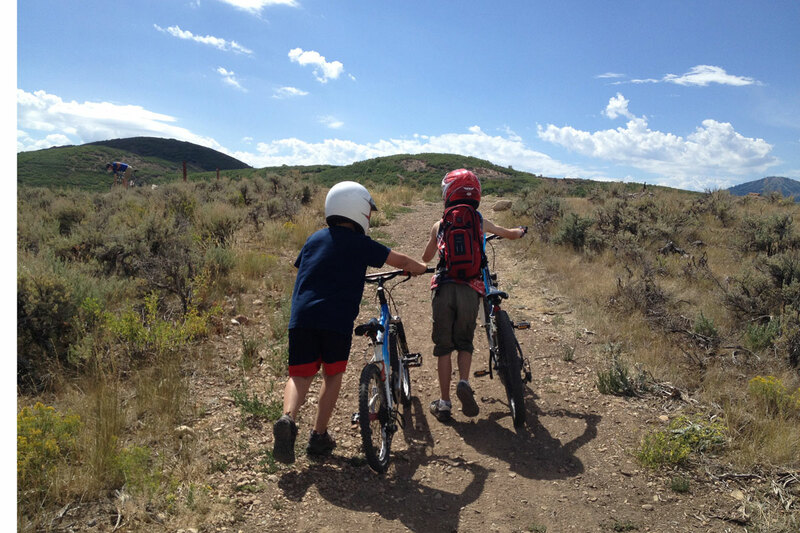 Remember, it’s next to Park City. 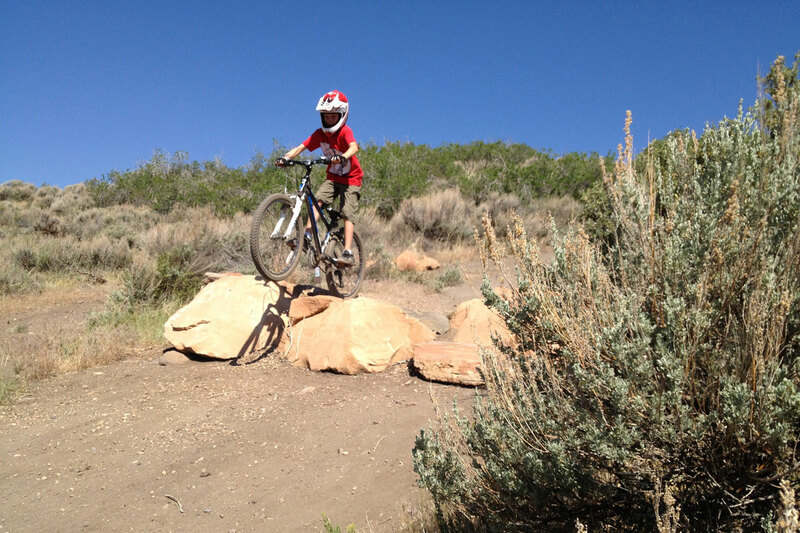 If you want to ride a Utah bike park in the winter, check out the Snake Hollow Bike Park in St. George. 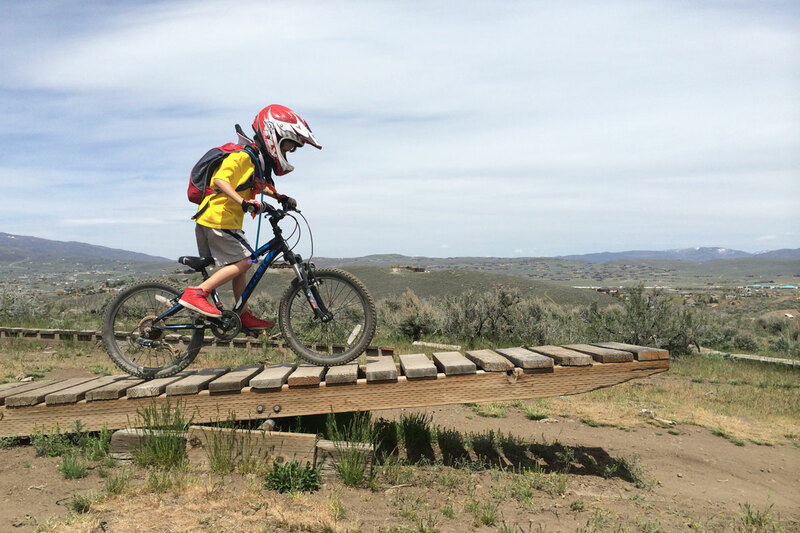 The trails are expertly built and everyone can progress their skills over elevated wood features and drops, rock gardens, table jumps and pump tracks. A step-up whale tail and drop-in on Bamm Bamm are a lot of fun. I remember one year our youngest just could not muster the gumption to do the drop-in and that was fine. 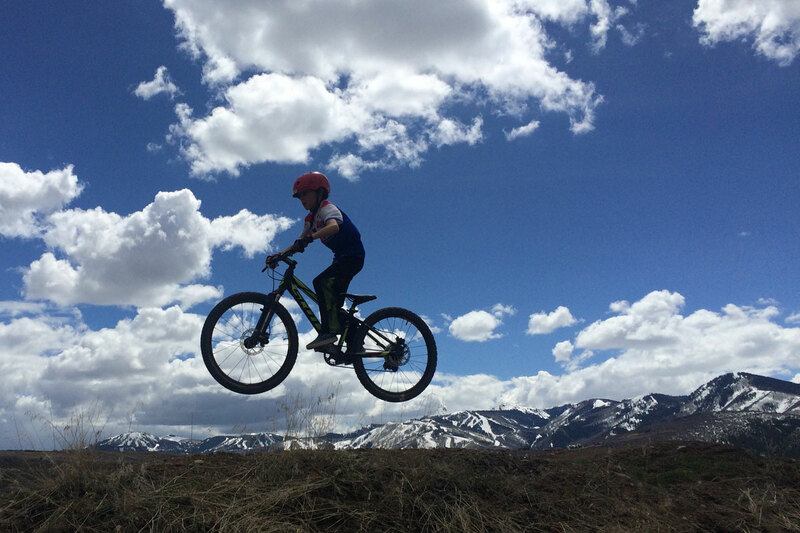 We came back the following spring and after he practiced a couple of the smaller drops, he nailed it like a boss. A few of the features in our photos are either modified or removed. For instance, there is no longer a see-saw. 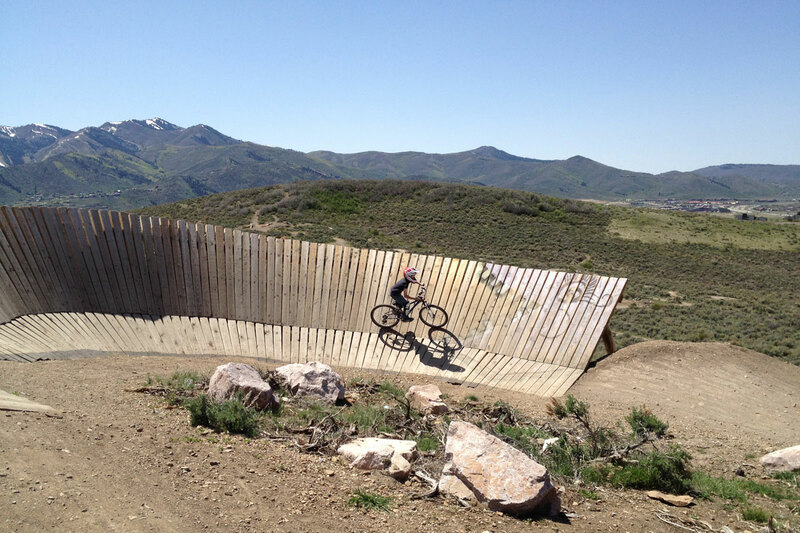 The fine people from Basin Recreation were responsible for securing funding and building this wonderful bike park. 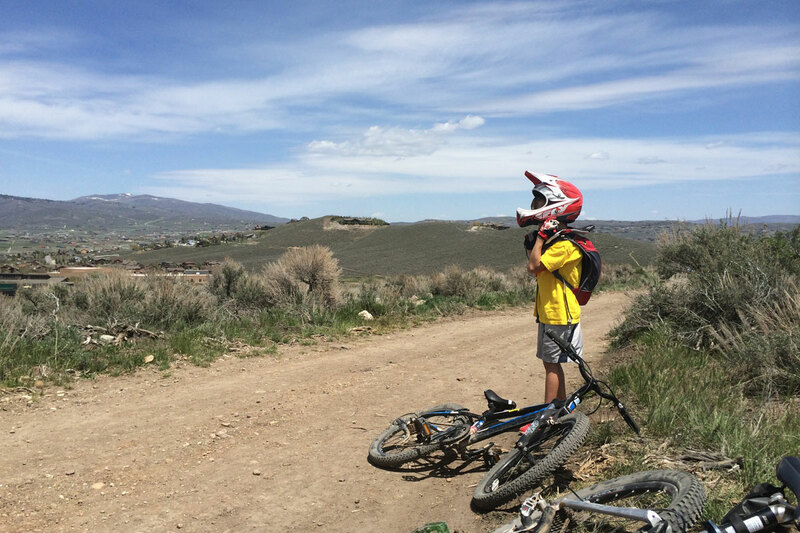 Our kids love this park – it takes 5-15 minutes to ride (or push) up to the top of the trails, and just a few minutes to descend. 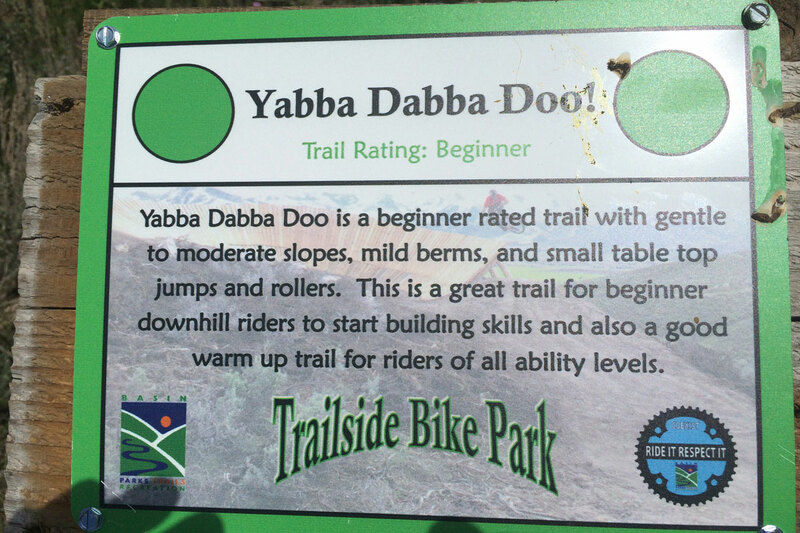 This is a great park to practice new skills until they feel like second nature.